I've had this on my TBR (to be read) pile for a while, and was happy to pick it up last week. A couple of afternoons on a quiet verandah, to the soundtrack of cicadas, paddocks being slashed and birdsong (assorted) and I finished it. 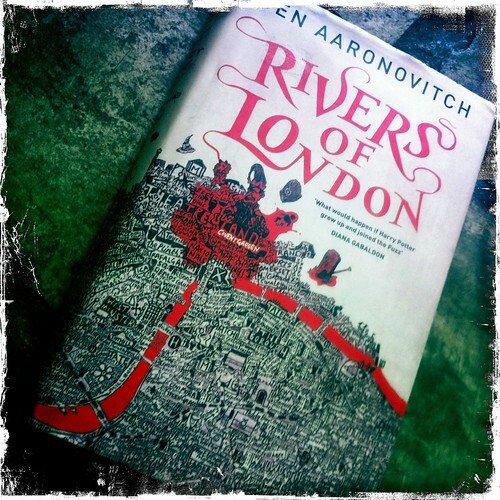 It's snickering-funny in many places, and the author, Ben Aaronovitch, is enjoying himself immensely (a wee bit more than me, I think). Seems to really know his London. Props to the cover designer, using Stephen Walter's incredibly detailed work from his The Island: London series is masterly.